I finally got some pictures uploaded and sorted from our trip to North Dakota. 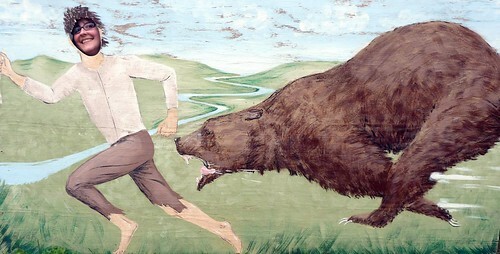 That bear almost caught me! 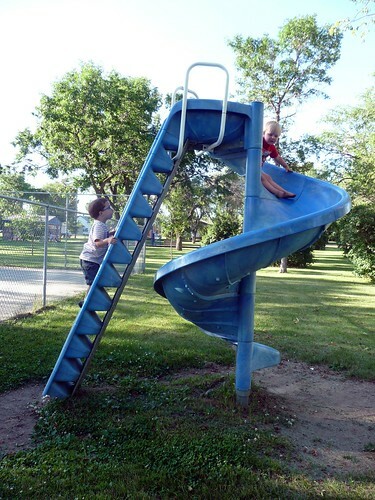 Other than the selling off of things, we mostly relaxed and went to the playground (with Tegue) a lot. We also drove a LOT (from here, to there, and back again but with a side trip to Kansas City), and the Dakotas were especially green due to the flooding . The intense yellow hue of these wildflowers made me want to dig out my paintbrushes again. I have a skein of Madeline Tosh laceweight yarn in a similarly lovely yellow, though, so one day I suppose I will just “paint” with that. 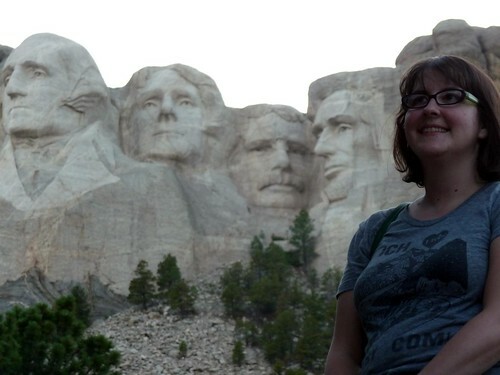 Other notable stops were the Petrified Wood Park in Lemmon, SD, Mount Rushmore (I’m the 5th face, har har), several fun yarn shops (although my faves were in Missouri), and three dinosaur related things, cause Paul loves ‘em. 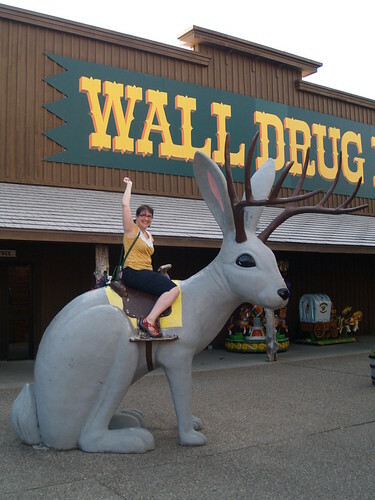 Oh, and we finally went to Wall Drug–we saw the zillion signs the last time we were driving through SD, but at that time we had a budget truck containing my whole life in it, so we didn’t make the side trip. It was fifteen minutes of quick cheesy fun. We also saw some friends in KC, which was great. I have to say, road trips are not so bad. It looks like you had a super fun vacation and the pictures are AWESOME! Too cute! 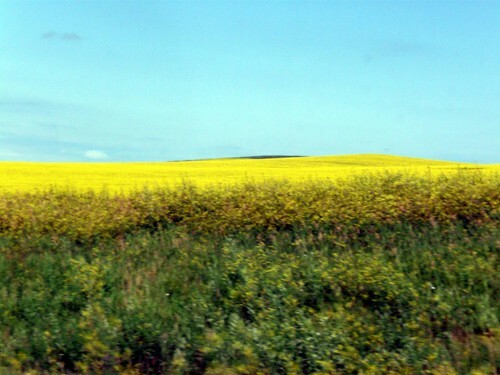 I was born in North Dakota - I think those yellow flowers are mustard! No road trip to South Dakota is complete without a stop at Wall Drug to ogle the crazy and get your free water. That place is special in an awesome way. It sounds like you had a great trip! We forgot to get free water, but that's ok. It was definitely worth a stop.